This timeless keepsake can be engraved or print with your distinctive message of appreciation. 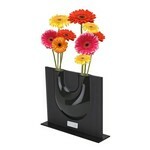 Our stylish wholesale Vase are sure to get your company the recognition you seek. 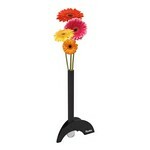 Add a flower or two to beautify your space. 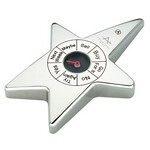 A fabulous extra touch for everyday or special occasions. This etched circle ornament with gold ribbon with your company name and logo is a perfect gift for clients and employees. This Custom Cup McKinley Large Glass Trophy features a high-quality glass design with a single logo imprint. This Custom Cup McKinley Small Glass Trophy features a high-quality glass design with a single logo imprint. 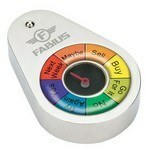 Just imprint your logo for a brilliant and professional message you can put in hands. It has eight unique message. A great handout for any business, university, hospital, law office, bank and many more. 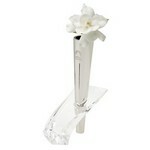 This Vase features an elegant clear glacier design. Award your employee's excellence with our Personalized Helix Large Art Glass Award, customizable with a single logo imprint. Customize achievement awards for your employees with our Custom Helix Small Art Glass Award customizable with a single logo imprint. 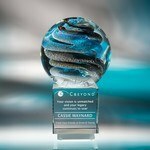 Award your employee's excellence with our Custom Intrigue Large Art Glass Award, customizable with a single logo imprint. 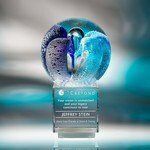 Celebrate a job well done with our Custom Intrigue Small Art Glass Award, customizable with a single logo imprint.